He is a Spanish Medical Doctor, graduated from the Universidad Autónoma de Madrid, and specialist in Geriatrics. 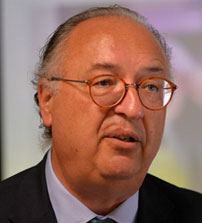 He is Head of the Geriatrics Department at the Hospital Universitario de Getafe (Madrid, Spain), Geriatrics Professor at the Universidad Europea de Madrid, and Scientific Director of the Fragility and Healthy Aging Department at the Centro de Investigación Biomédica en Red (CIBERFES). Formerly, he was Director of the Foundation for Biomedical Research of the University Hospital of Getafe (Madrid, Spain). Founder Member of the Latin American Academy of Elderly Medicine (ALMA). He participates in several European and latin American research networks. His research is focused on the study of aging and fragility, including the study of cardiovascular diseases and diabetes in the elderly, and risk and prognostic factors associated to fragility development and functional deterioration in the elderly. His work has led him to publish several research articles in high-impact journals, books and book chapters, and he has participated in the elaboration of national and international technical reports about aging factors, fragility and diabetes in the elderly.